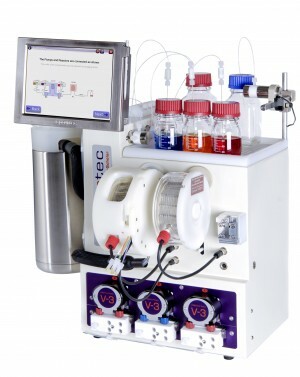 In this article we demonstrate how a combination of enabling technologies such as flow synthesis, solid-supported reagents and scavenging resins utilised under fully automated software control can assist in typical medicinal chemistry programmes. 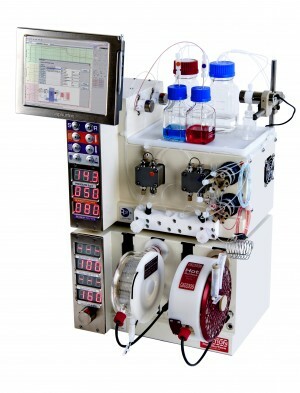 In particular automated continuous flow methods have greatly assisted in the optimisation of reaction conditions and facilitated scale up operations involving hazardous chemical materials. Overall a collection of twenty diverse analogues of a casein kinase I inhibitor has been synthesised by changing three principle binding vectors.